Drake is in the middle of his joint tour overseas with Tory Lanez but that isn't stopping him from catching up with some old friends. The duo of Canadians has had some bad luck in Amsterdam, having to reschedule a couple of shows until later in the year. They're still creating memories on every stop that they end up performing at, though. When Drizzy isn't on the phone with his son Adonis or on stage for the Assassination Vacation tour, he's either in the studio or chilling with his crew. The 6ix God made sure to let people know that he and A$AP Rocky ran into each other, posting a set of photos from this week. 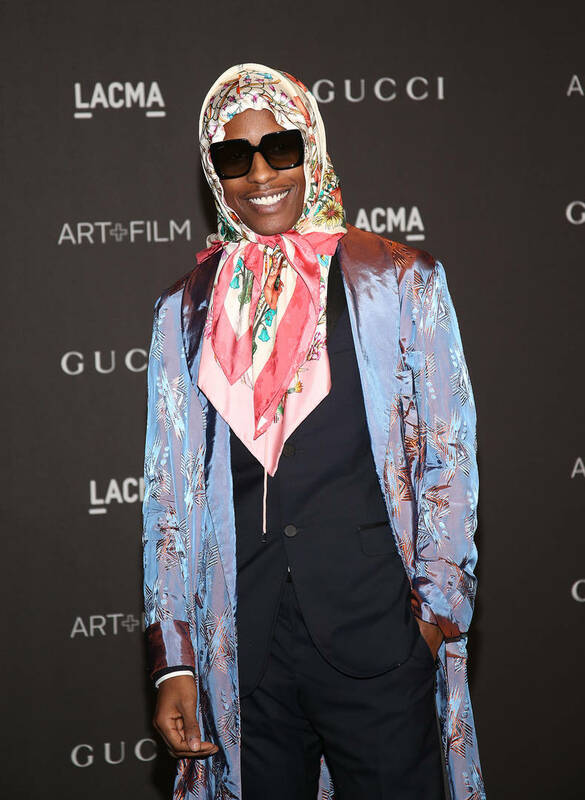 In the first slide, Rocky stands next to Drake in his pink babushka. It's clear that he's still trying to popularize the style, rocking with the look for a few months now. A couple of other shots were added to the recap with shout-outs to Drake's whiskey brand and the Lejonhjerta twins. Drake recently spoke as part of Mustafa The Poet's new short film, giving personal details about gun violence in his hometown of Toronto. He recently debuted a new tattoo on his forearm, inking a portrait of his firstborn son so he can see Adonis everywhere he goes.